Will peace reign on the training ground? Gor Mahia’s goalkeeping coach Mathew Owino Ottamax has resumed his position on the technical bench. According to the Nation, Ottamax posted about his return on his social media pages. “The hunger and passion for winning and glory drive CHAMPIONS to the point of fist fights, verbal wars but not hatred! We are on a mission and our house is in order. Respect Zee Maria. Respect Gor Mahia,” said Ottamax. Last Friday Ottamax had announced on the very same page that he had been fired by coach Ze Maria. But the Brazilian tactician denied firing Ottamax saying it was simply a disagreement. The Gor Mahia EC led by Chairman Ambrose Rachier also denied that Ottamax had been fired. Ottamax now says that his outburst was due to intense pressure. “Sometimes things happen because of pressure to win and regrettably it portrayed a bad picture to the public. However, I am happy it has been settled and we are now focused on helping the team. Everybody is contented with the decision made and as the season nears a close, we are ready to bounce back. Ottamax had a similar outburst when he was dropped from the Harambee stars technical bench. And Ottamax is not the first Gor Mahia official to react this way. Chris Omondi who had just been elected to the position of secretary general had a similar outburst when he ranted against the rest of the Executive Committee and announced he was resigning. He is among those who have declared candidacy for the club Chairman position. Ottamax will now need to mend fences with the coach for the sake of the club which has not registered a good result in eight games. Gor Mahia’s Brazilian tactician Ze Maria has now distanced himself from reports that he fired goalkeeping coach Mathew Owino Ottamax. He is also livid that Ottamax went to social media to make the announcement. Ze Maria is adamant that Ottamax walked away from the team and was not fired. “Issuing such a statement on social media is also shocking because if such a thing happens he (Ottamax) should have just informed me. Until now, I have not heard from him (Ottamax) and I strongly believe that he is the keeper trainer at Gor Mahia,” Rachier told Goal. Drama continues to plague the Gor Mahia setup as bewildered fans watch in disbelief as the poor performances on and off the field. On Friday, goalkeepers coach Mathew Ottamax told media outlets that he had been fired by Brazilian tactician Ze Maria. “He told me yesterday (Saturday) that I was not needed in the team and that I could not fly with the team to Kisumu (for the GOtv game). “Things have not been fine because the coach has been belittling us. He has no respect and talks to me using foul language in the presence of players,” Ottamax added. Ottamax claimed that the coach, had, commissioned one of the senior players to source for his replacement. 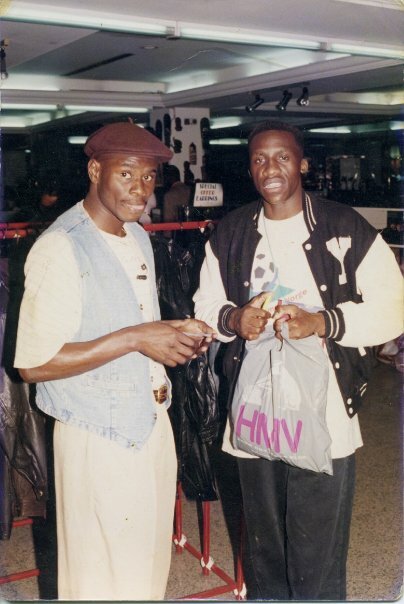 Mathew Owino Ottamax who was a stalwart for Re Union FC, Gor Mahia, AFC Leopards and Harambee stars during his playing days in the 1990s, wrote a letter to the fans base on his social media pages. “A blank firing coach decides to fire his goalkeeping coach…maybe this will solve his scoring problems! Mine is to say a BIG THANK YOU to Gor Mahia players, staff, the executive office and our loving fans for everything we achieved as a family during the three and a half seasons I was with you. I remain loyal to my Mother Club” he said. However club chairman Ambrose Rachier said that he is not aware of such while club treasurer Ken Ouma dismissed the sacking claims saying that Ze Maria had no powers to hire or fire. “The matter has not come to the office and if there is an issue then it should be brought to us. It’s however not official because the coach is an employee and has no powers to fire anyone,” Ouma said to the Daily Nation. 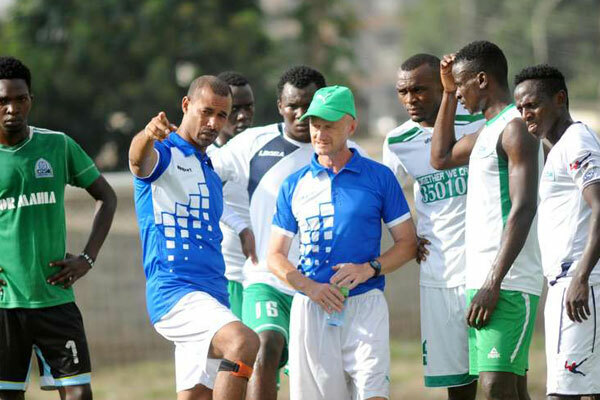 NAIROBI, Kenya, Aug 28 – Ten-time GOtv Shield champions Gor Mahia have been dumped out of this year’s tournament after a 1-0 loss at the hands of Nzoia United, Edgar Nzano’s penalty doing all the damage to a club that has struggled over the last one month. The talk before the game was all about head coach Jose Marcelo Ferreira’s decision to axe goalkeeping coach Mathews Ottamax from the team over what he termed as ‘breaking the rules’. “We have rules in the team, and I guess everyone does. When you break the rules, then you cannot be in the team. We talked on Friday with him and the players and we made everything clear,” the Brazilian said pre-match. Under pressure Ferreira had made some changes to his team, Enock Agwanda partnering Jacques Tuyisenge up in attack at the expense of Meddie Kagere who started on the bench. In the absence of usual starter Karim Nizigiyimana at right back, Luke Ochieng was handed his second start of the season while in goal, Jerim Onyango who has been the preferred starter in cup competitions found himself on the bench with Boniface Oluoch preferred ahead of him. The two sides came into the match all attack especially in the first half. Gor had the first opportunity, Agwanda breaking into the box in the 4thminute but Nzoia defender Brian Otieno stretched to hit the ball off for a corner. The hosts had a great chance in the 8th minute but Brian Yakhama fired wide under pressure from two Gor defenders. A minute later, Masita Masuta also had a chance after turning Ochieng inside out on the left, but his eventual shot was an easy pick for Boniface Oluoch in the Gor goal. On the other end, Agwanda had three more chances come his way but both went begging. In the 13th minute, he raced to the near post to meet a cross from Erick Ouma, but the ball took an awkward bounce in front of him and went wide. Three minutes later, he was sent through on goal by Francis Kahata, but Nzoia keeper Benson Mangala was faster off his line to block Agwanda’s attempt with his feet. In the 26th minute, he raced onto another long ball, but his attempt to head over Mangala was futile as the keeper picked the ball easily airborne. Nzoia broke the deadlock on the half hour mark, Nzano sending Oluoch the wrong way from the penalty spot after Ernest Wendo blocked Peter Gin’s shot with his arms. Gor had a double chance to make amends in the 41stminute but they could not unlock the Nzoia backline. Luke Ochieng pounced on a ball dropped by Nzoia keeper Mangala from a Francis Kahata corner, but his eventual shot was cleared on the goal line. Kahata floated the cleared ball back into the area but Harun Shakava’s header went over. 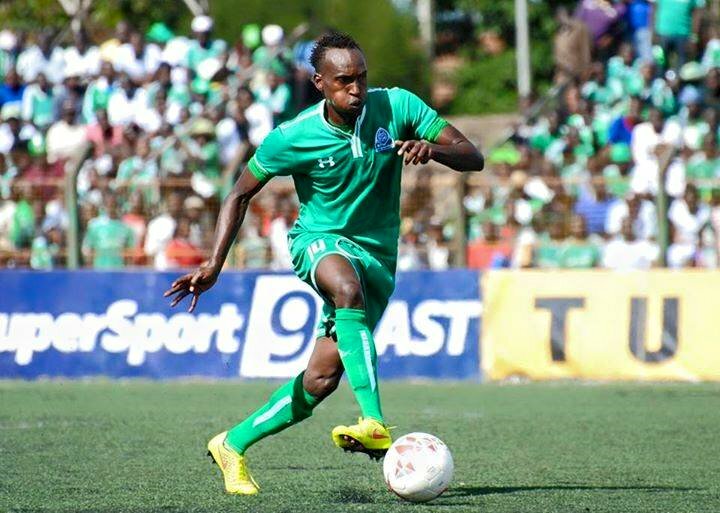 Gor were better starters in the second half and Tuyisenge who was a silent figure all through the opening 45 finally burst into life. He was presented with two aerial opportunities with crosses from Ouma and Ochieng, but both went wide. In the 65th minute, Marcelo made his first change, bringing on Baron Oketch for Ernest Wendo, meaning Gor now operated without a defensive midfielder. Five minutes later, Marcelo completely threw caution out of the window, pulling out right back ochieng for striker Kagere, a change that saw midfielder Amos Nondi operate as a wingback. But despite the two attacking changes by Gor, it was Nzoia who had the better of chances. Nzau should have doubled his and the team’s tally in the 73nd minute from a corner, but he hit the ball with his back unmarked when he raced into the near post. Yakhama had the best and easiest of chances to completely take the game away but he saw Oluoch’s finger tips push the ball onto the crossbar after tapping in a cross from substitute Patrick Kwitonda completely unmarked inside the six yard box. But his blushes were spared with Bernard Mwalala’s side holding on till the end of the game for a ticket into the last eight. Gor Mahia came very close to winning the KPL U20 title but lost to Mathare by a solitary goal that came in the last minute of play. Mathare United beat Gor Mahia youth by a solitary goal in the KPL U-20 tournament’s final played on Friday to become the August edition’s champions. The match started in a lukewarm mode with both teams not showing much intent to score goals but the tempo changed in the last quarter of second half to hand Mathare United their sweet maiden title. Super-sub Alfayo Oyugi stepped in to score past Ishmail Otieno from a free-kick at the stroke of 90th munites to give coach Gabriel Njoroge the biggest smile of the day. Prior to this, Henry Juma, Davies Odongo and Nahashon Thiong’o had made notable attempts for Gor Mahia while Lawrence Luvanda was very instrumental for Mathare United. Gor Mahia dispatched Ushuru 2-0 in the semi-finals while Mathare overcame last year’s finalists Kakamega Homeboyz 3-1 in post-match penalties after regulation time had left the sides locked in a 1-1 stalemate. Ushuru finished second runners up after edging out April’s finalists Kakamega Homeboyz 4-2 in post-match penalties in the third place play off staged at Camp Toyoyo on Thursday. Mathare United: Job Ochieng, Samuel Semo, Mike Odhiambo, Dennis Wanyoike, Martin Ongori,Musa Oundo (C), Dennis Kamau, Deng Jackson, Enock Momanyi, Lawrence Luvanda, Patrick Chege. Gor Mahia: Ishmail Otieno (GK), Kevin Otieno, Stephen Otieno, Washington Onyango, Elvis Ochieng, Davies Odongo, Alpha Onyango, Nahashon Thiong’o, Hillary Ojwang, Henry Juma, Ismail Musa. Subs: Bixente Otieno (GK), Kevinton Machika, Fiston Changu, Joseph Lumumba, Kilonzi Mutuku, Tom Otieno, Peter James. 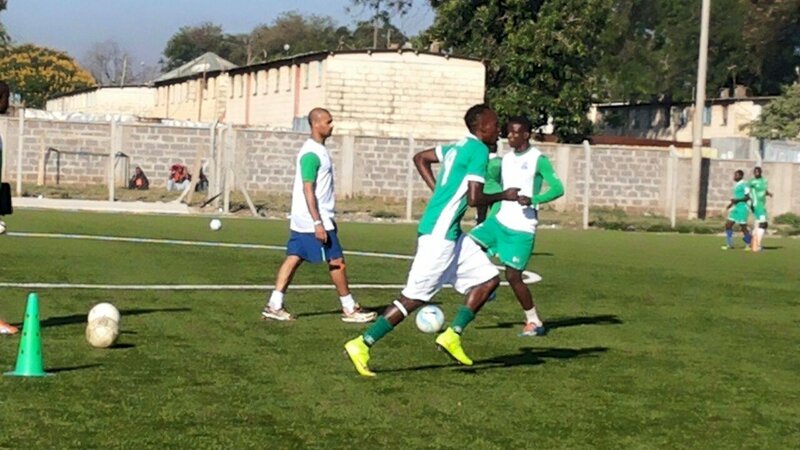 Gor Mahia are currently preparing for their GoTV shield round of 16 match against Nzoia United. The match will be played this Sunday. Gor Mahia have been lackluster of late.Thankfully they have had some time off to sort out their midfield and attack issues. Despite what looked like a slow start, Gor Mahia appear poised to win the KPL U20 tournament. This after they beat Ushuru FC 2-0 in the semis to advance to the finals. Gor Mahia on Tuesday beat Ushuru FC 2-0 at Camp Toyoyo grounds to book slot in the KPL U-20 tournament-August edition’s final. Having been aware that Mathare United were already in the final, Gor Mahia youth were upbeat for a slot of their own and they knew that Ushuru FC was the only step to the space. Coach Maurice Onyango seemed to have reminded his charges of their 3-1 victory against the taxmen in the tournament’s preliminary encounter and they stepped into the game with clear mindset of a win. They dominated the better part of the first half with attempts and beautiful runs from Henry Juma, Hillary Ojwang’, Nahashon Thiong’o and Ismail Musa, who occasionally gave Ushuru FC’s backline and keeper Brian Otieno some hard time. In the 40th minute, Henry Juma hit past Otieno in goal to hand Gor Mahia Youth their first goal from a Hillary Ojwang’ assist. The remaining minutes were a mere panic for Ushuru FC into the breather. Juma came from the tunnel to complete his brace and see Gor Mahia into the final with hopes of clinching the title for the first time ever. April edition finalists Kakamega Homeboyz and Ulinzi Stars had paved way for new champions in waiting. 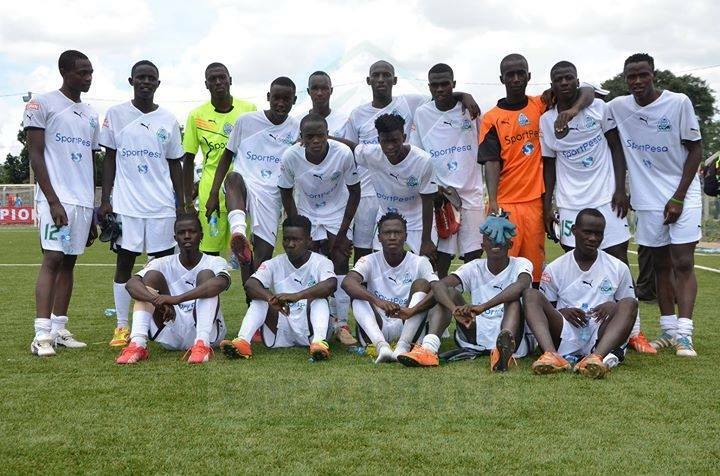 Gor Mahia under 20 team edged out AFC Leopards counterparts 2-1 in a quarterfinal match played on Sunday at Nyayo stadium to qualify for the tournament’s semifinal stage. All the goals were scored in the first half with Gor Mahia getting the lead on the 3rd minute before confirming their victory three minutes to the half-time whistle. 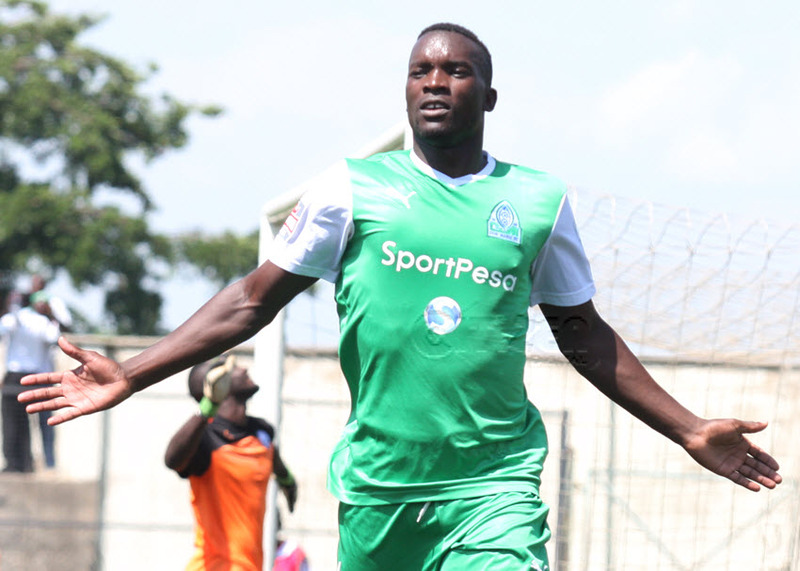 Henry Oguk was the first to draw the first blood for Gor Mahia connecting a through ball into the net past keeper Brian Bwire to stir-up the game for K’Ogalo. In spite of more pressure piled thereafter in search of the second goal, AFC Leopards were keen on getting an equalizer and it took only 30 minutes for Valdo Madegwa to level matters. Eric Kinuthia was the man with the assist which Madegwa utilized to beat a defender before unleashing a rasping shot past Bixente Otieno. The battle then continued. Both teams were now on a mission to get their respective winner in order to sail to the tourney’s semifinals. AFC Leopards pushed hard but unfortunately their efforts never bore any fruits at a time when Gor Mahia were launching attacks of all sorts in a bid to secure a goal. On the 42nd minute, Ismail Musa put the Maurice Onyango coached outfit in the lead. He simply tapped in a rebound past Bwire to give Gor Mahia an opportunity of hanging on their lead till the final whistle. They will now play against the winner between Chemlil Sugar and Ushuru FC in the semifinals. Unlike last year when Gor Mahia had virtually won the league at the halfway mark, this season they are locked in an extremely tight with none of the top sides able to gain a measure of consistency. For Kogalo fans who are used to winning, the past few weeks have been particularly difficult. Burundian left back Karim Nizigiyimana told the official KPL portal that even discussing the results is too difficult and uncomfortable. Nizigyimana had a sensational season in 2016 where he was voted defender of the year and almost grabbed KPL player of the year. He was in superb form all season long, running tirelessly up and down the right flank sending in accurate cross after accurate cross until he ended up leading the league in assists. This season however he and others have been unable to replicate this form and the fan reaction has started to affect the players. “It is even more painful because we have very supportive fans and seeing them disappointed every weekend feels bad,” said Nizigiyimana. He asked for patience from fans given that the gap between Gor Mahia and Tusker is only four points with several matches to go. “Gor Mahia has very competitive fans. They like to see the team win and they want to see that every day. Last year we gave them a lot of that so I would just like to ask them to continue believing in us because we plan to win this title for them. It will be hard but we will fight till the end. And we will win,” he concluded. Indeed the team will need the 12th man to throw their support behind the team. And most of all the fans will need to behave themselves to avoid another three point deduction. But the players will need to do their part. A listless performance such as the one where the team went 60 minutes without a shot on goal is likely to elicit a negative fan reaction.